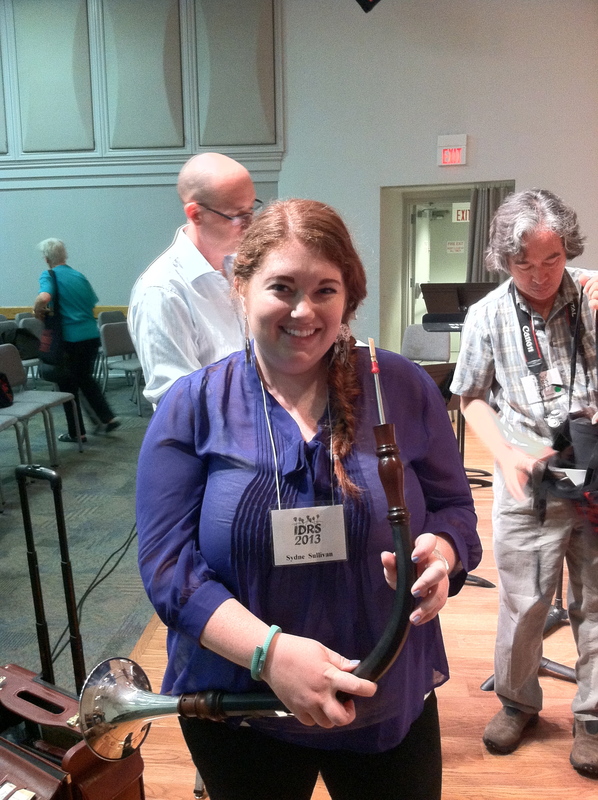 It’s been a couple of weeks since the International Double Reed Society conference and I thought I’d do a quick blog post to recap some of my experiences there. This year the conference was in Redlands, CA and my former teacher from when I was in high school, Francisco Castillo, was hosting the event at the University of Redlands. It was my first conference, and although it was a bit overwhelming at first (SO. MUCH. OBOE.) I had a great time and I’m really happy that I was able to go! The other huge highlight of the conference for me was the exhibit hall. I was in the market for a new oboe, so it was really helpful to be able to try LOTS of different instruments of different makes and models all in one place. It was also really nice to have the opportunity to ask questions of the instrument makers that were there. I think it’s definitely worth going to a conference if you’re looking to buy a new instrument! I highly recommend it. 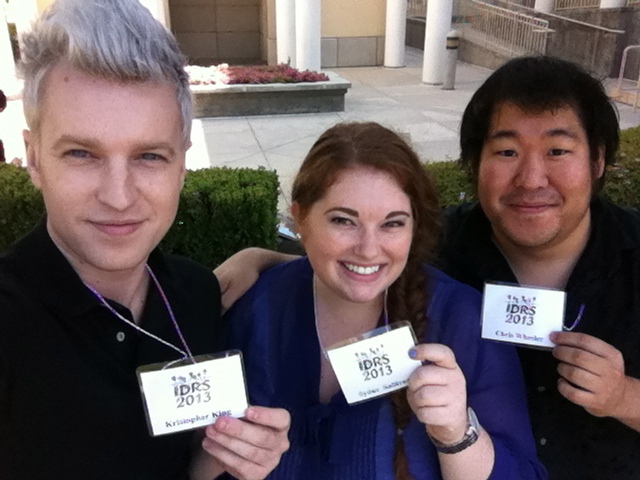 Kris King, Chris Wheeler, and myself with our IDRS ID badges upon registering at the conference. 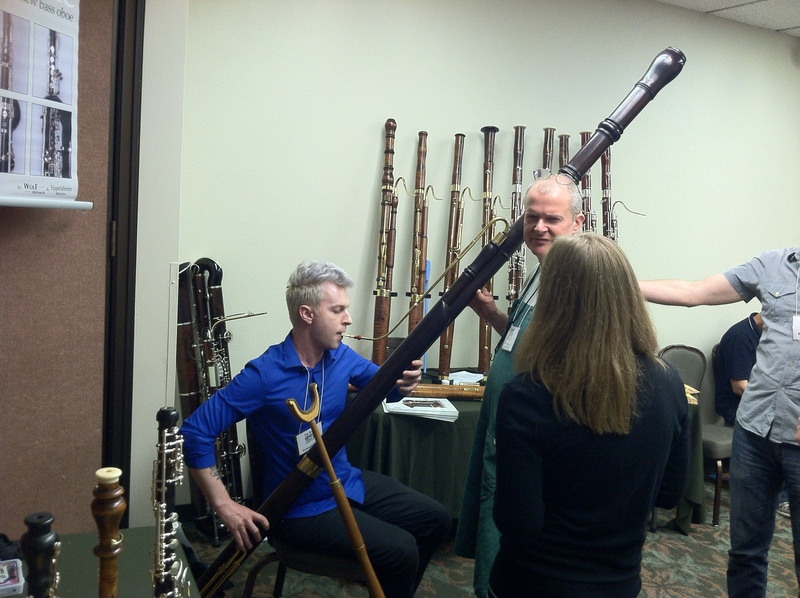 My friend Kris King playing the Baroque contrabassoon in the Wolf room which was as big as the room practically! Me with the Altuglass Marigaux! So neat, and it sounds like a wooden oboe! 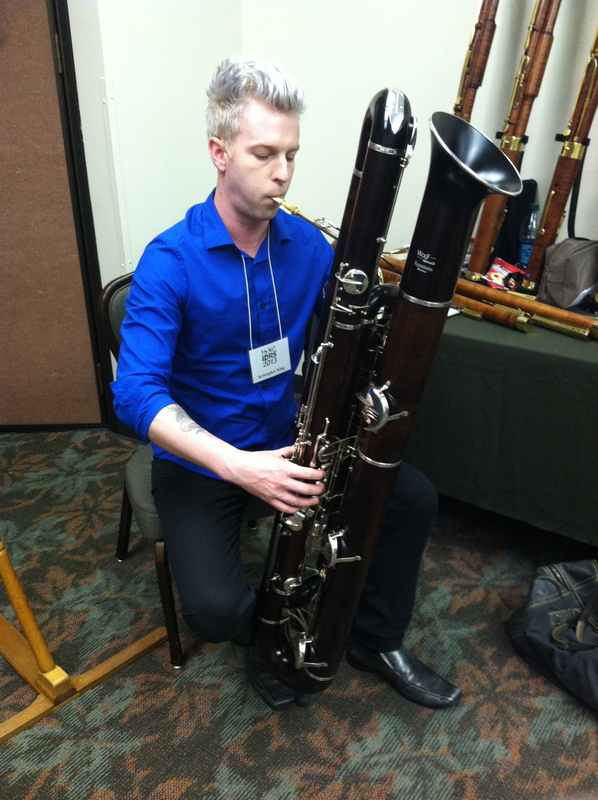 Kris King with the Wolf re-designed contrabassoon called the contraforte. 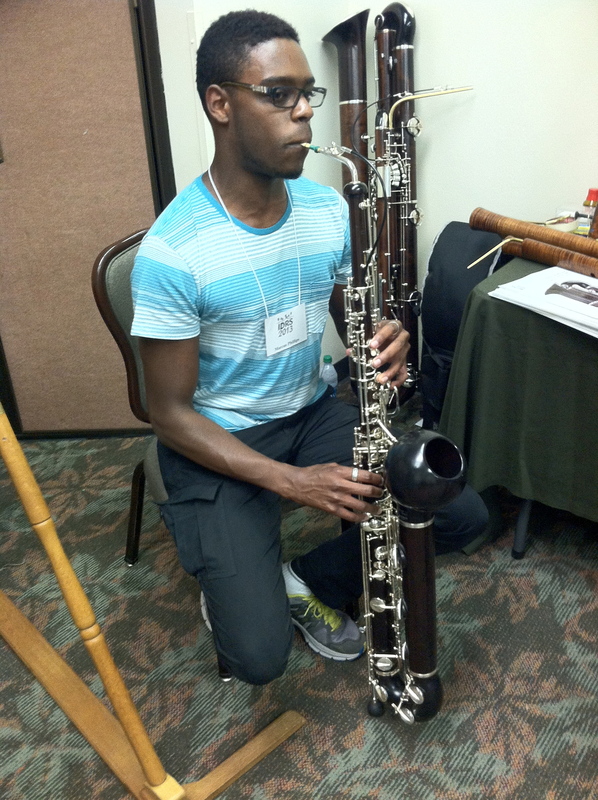 My friend Marcus Philips with the Wolf re-designed bass oboe called the lupophone. 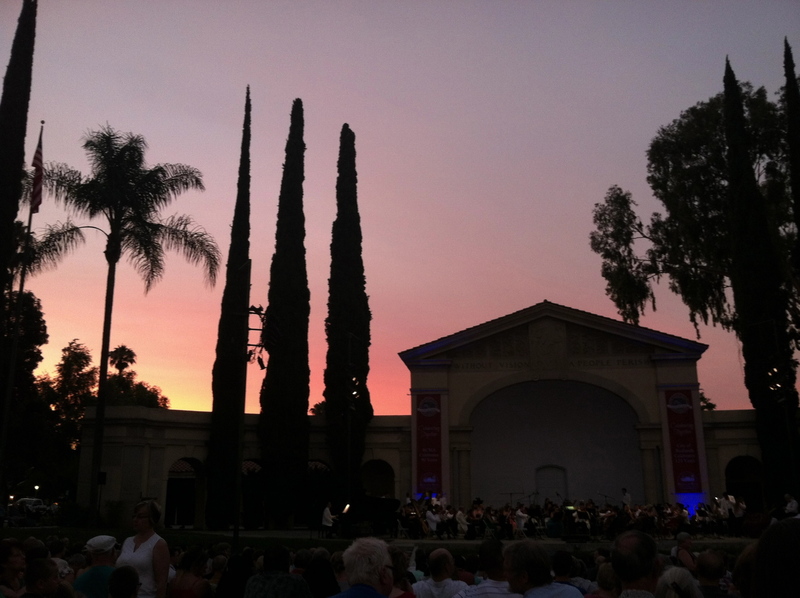 The sunset at the Redlands Bowl concert. 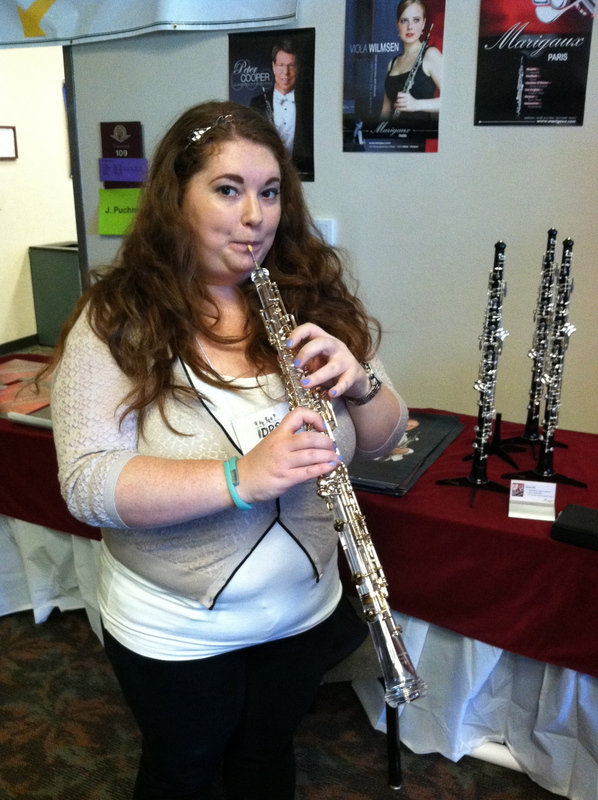 My first time trying an oboe da caccia! Very fun. 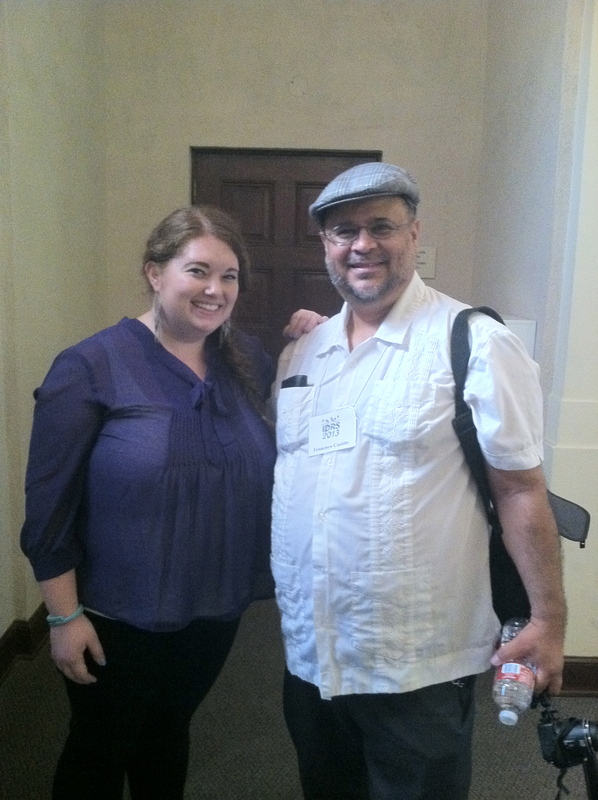 My oboe teacher from high school Francisco Castillo (who was hosting the IDRS 2013 conference) and myself. There is a memorial being held in Bill’s memory tomorrow at 4pm at Davies Symphony Hall. All are welcome, no ticket required. Official SF Symphony announcement here. Looking for some alternative Cinco de Mayo plans? 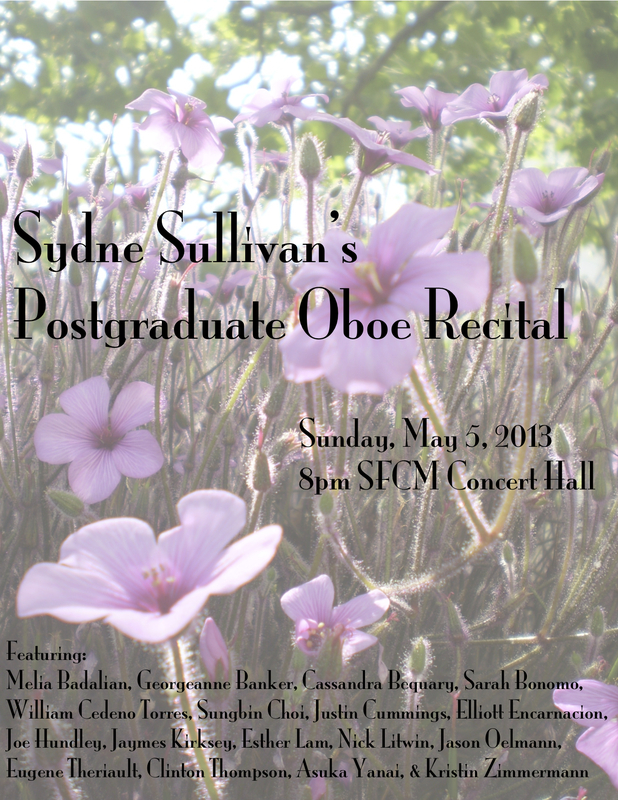 Come join me for my fourth and final solo recital at the San Francisco Conservatory of Music! The program starts at 8pm in the Concert Hall at SFCM. It’s a free concert, no ticket necessary. It will also be streamed live if you’d like to watch from home, I’ll post the link when it starts streaming! This is a guest post from Meave Cox, a masters student of Bill’s at the conservatory who graduated in 2003. “I was fortunate enough to study with Bill during the last year of my masters’ program at the conservatory, from 2002-2003. I had originally moved to San Francisco from Boston to study with Eugene Izotov, who moved to New York to play with the Met during the summer after my first year. I was on tour in Russia at the time, and immediately placed a (probably quite insane) call to Rob Sheena, my teacher from back in Boston. I called from a pay phone in St. Petersburg (God only knows what time it was in the US), and asked him what I should do. I’m a massive symphony nerd, and had really fallen in love with Bill’s artistry, but he was not on the conservatory faculty at the time. Rob, who had grown up in San Francisco and knew Bill, gave him a call and asked him to take me on as a student. I have no idea what Rob told him, but he agreed to it. Shortly before my first lesson with Bill, the admissions office somehow coerced me into allowing a photographer to attend, to take pictures for the next year’s course catalog. I was already nervous as hell about playing for Bill, and the photographer definitely hyperbolized the whole thing. She kept interrupting us to fix my hair, add/remove jewelry (?!! ), and try to get me to take off my glasses. I’ve always been a quintessential ragamuffin, so this was somewhat… startling to me. After awhile, Bill just started laughing. And I soon followed. It really was pretty hilarious. And the laughs continued throughout the year. At one point, I went over to his house for a lesson shortly after a classmate had passed away. I was having a really rough time with it. Before taking out the oboes, he pulled out this absolutely amazing video advertisement he had made in college for a performance of Mahler 2. It was completely hysterical. I didn’t think I was capable of giggles at the time, but he managed to get them out of me. In droves. Preparation for my first recital with him was interesting, to say the least. I had signed on to play the Mozart and Vaughan Williams concerti, which was a big program for me. Instead of using piano reduction for the Mozart, Bill insisted that I use a string quartet instead. Unfortunately, during rehearsals, I realized that leaving out the other winds was a bit of a mistake, but he just calmly told me to cover the horn parts by ear. And it worked. Well. During the week leading up to the recital, the weather changed, and my reeds went straight to hell. I had gouged my entire supply of cane during sunshine-ey times, and, all of a sudden, the city was plagued by enormous storms and icy winds. Nothing would work. I spent entire days in the reed room, desperately trying to come up with something, but was having absolutely no luck. It was quickly becoming a ridiculous situation; someone (Bill?) went so far as to put a sign on the door that read, “Do not feed the Meave.” I finally caved in and called Bill, admitting my folly. He invited me over to his house the night before the performance, and calmly helped me get it together. Due to his supportive attitude and my resulting confidence boost, the recital went off without a hitch. Well, except for one of the violinists discovering he had left his part in a bar the night before (yes, I spared Bill the details on that one). I could go on and on about Bill. There’s no way I could quantify how much I got out of the year that I spent with him. In lieu of a final lesson, he took me to Howard’s Café on 9th Ave. for breakfast. We ate eggs and bacon and talked about my future. Being on the precipice of finishing one’s education is a terrifying time for any student, but, true to form, Bill was nothing but supportive and encouraging. He told me I’d have to do what was necessary to pay rent for awhile, but that eventually it was possible that I could achieve some kind of career in music. Whether that’s true or not remains to be seen, but, yet again, his incredibly supportive and caring attitude really made me believe that everything would somehow be ok. Which is something that I will always carry with me. The final recorded performance of our beloved colleague and friend, Principal Oboist William Bennett, will be broadcast tonight starting at 8 pm as part of KDFC’s Tuesday night broadcast on 89.9/90.3/104.9 FM and KDFC.com. The concert program, conducted by Yan Pascal Tortelier and recorded Friday, February 22, is: Debussy’s Petite Suite, Strauss’ Oboe Concerto with soloist Principal Oboist William Bennett, and Mendelssohn’s Symphony No. 1 in C minor. As an added tribute to Bill, the station will rebroadcast his beautiful November 1995 performance of Mozart’s Oboe Concerto in C major, with Michael Tilson Thomas conducting the Orchestra, recorded just three months after MTT joined the SFS as Music Director. The broadcast will be archived for on-demand streaming from KDFC.com for 21 days. May the sound of Bill’s music live on always. Listen here! The program will be up on that site until March 25. Here is the tribute from San Francisco Classical Voice. So happy I was able to share some stories. By now most people have heard about the tragic and sudden passing of Bill Bennett, San Francisco Symphony’s principal oboist. If you’d like to read more about it please go here and here. Most people knew Bill as the San Francisco Symphony’s principal oboist who they’ve seen either in live concerts at Davies, on tour, on PBS’s “Great Performances,” on YouTube, or even in the symphony’s own DVD series “Keeping Score.” That Bill wore a tuxedo and a white bow tie and sat in the middle of the symphony behind the strings, next to his dear friends and colleagues in the wind section. He provided his characteristic voice in countless orchestral solos and oboe concertos over the last two and a half decades. This was not the Bill we knew as students at the San Francisco Conservatory of Music (SFCM). Of course, we saw that Bill in concert on occasion, but the Bill we knew wore jeans and colorful Nike sneakers to oboe class. He carried a backpack and strangers on the street (or fellow BART passengers) probably thought he was just a “normal” guy, but Bill was anything but normal. As I’ve been thinking about Bill over the past few days, all of my memories of him from being an oboe student at the conservatory these last couple of years keep rushing back to me. We have a class here at the conservatory called “Oboe Class” which is a requirement for all oboists and is a two hour class we have once a week. All of the instruments of the orchestra have this class, also called “studio class.” Bill and the other oboe professor James Moore teach this class together switching off every other week. Oboe Class has been traditionally run like a masterclass at SFCM where each week the members of the oboe studio (sometimes reluctantly…) get up to play a piece they are working on for whoever is teaching class that day. Most of the memories I have of Bill happened in Oboe Class. What you need to know about Bill to understand him as a teacher is that he was not what we would consider a “typical” oboe player. He was very influenced by jazz (Ella Fitzgerald in particular) and popular music (I remember The Beatles being brought up a lot), and often used recordings or songs from these genres as examples in studio class. This is not often done in a conservatory setting. Usually examples would be played from art music—-opera, symphonic music, recordings of….well, oboists. That wasn’t his approach, though, and that’s part of what made him so special. One particular oboe class during the first year of my masters degree at the conservatory Bill walked in without his oboe, and instead brought a stack of CDs. I remember thinking he must’ve brought some orchestral excerpts for us to listen to. To my surprise he turned on the stereo and played some jazz, pop, and folk music for us instead. He had us listen carefully to the singers he brought in as examples and he’d ask us what we heard. We talked about vibrato, tone, musical choices, vowel placement, and different ways the vocalists expressed the text of each song. Then he told us he wanted us to try and mimic that with our oboes on our own that week—-even to play along with some recordings and see what we came up with. But…that wasn’t all. He also wanted us to write our own transcriptions of a song from one of these genres and arrange it for oboe and some sort of double-reed ensemble. 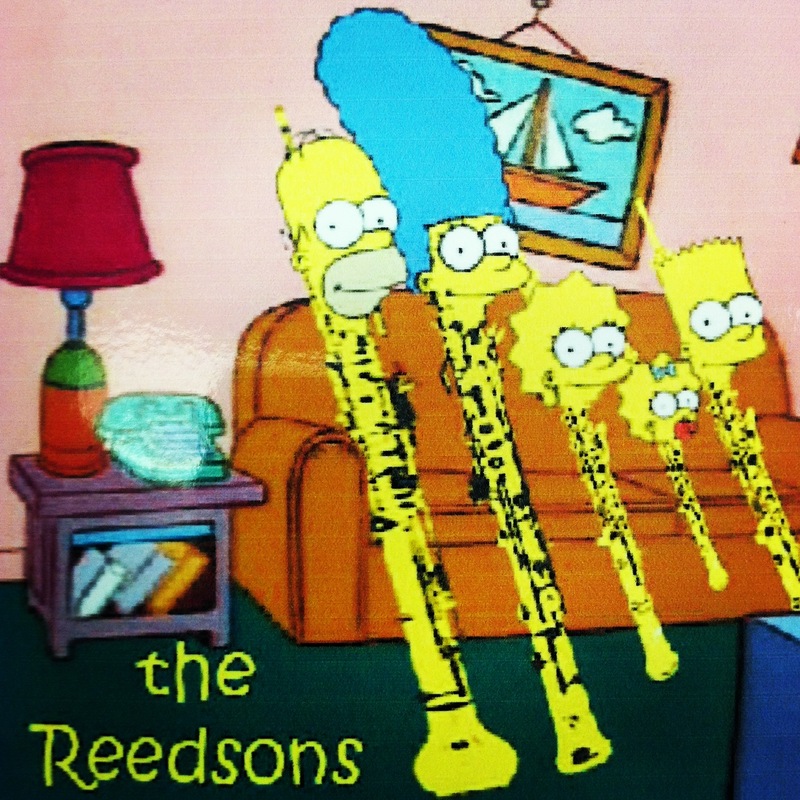 We could use English Horns, bassoons, and oboes in any combination. What you need to understand is how far this was from our comfort zone as orchestral oboe students. Most of us had never done anything like this, had never thought about doing anything like this, and had certainly never been asked by an oboe professor to attempt it. This was something Bill was known to really enjoy. He often took music he loved and arranged it for himself to play with piano or with a group of his woodwind playing friends. I have this really special video from that class that I’d like to share with everyone. Please feel free to write comments or memories about Bill below, on this website, or on the YouTube video. I’ll keep sharing stories here and I hope you’ll remember him in your own way.